Chelsea midfielder Cesc Fabregas has responded to playing a new role under Maurizio Sarri after impressing in a deep-lying midfield position against Liverpool last week. The Spaniard has missed some of this season through injury but is easing his way back in now, even if he faces plenty of competition for a spot in midfield now. Despite being a key man for Chelsea for a number of years now, Fabregas is now up against summer signings Jorginho and Mateo Kovacic alongside N’Golo Kante in the middle of the park. Still, Fabregas gave a good account of himself against Liverpool, and revealed his reaction to it in a question-and-answer session on his Instagram. As seen in the picture below, the 31-year-old says it was his first time playing in that role properly and that he enjoyed it. This actually does come as something of a surprise as Fabregas has always been such a good long-range passer of a ball. However, he’s generally been given box-to-box duties or even a job in the attack due to his decent scoring record and work rate. 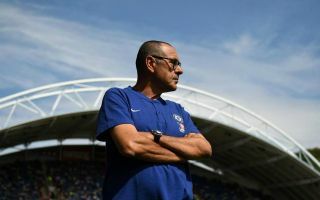 Under Sarri, perhaps, he can shine in a slightly deeper role that will help him prolong his career as players like Andrea Pirlo and Xabi Alonso were able to.